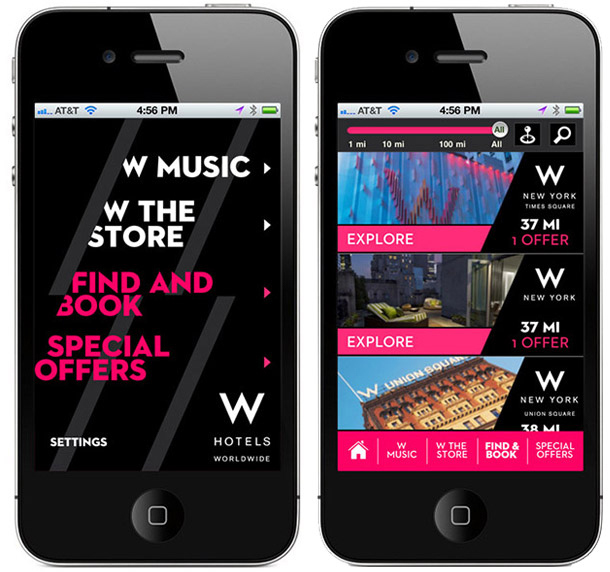 The first piece in the relaunch of the W Hotel visual language was the W Hotels Worldwide iPhone application. 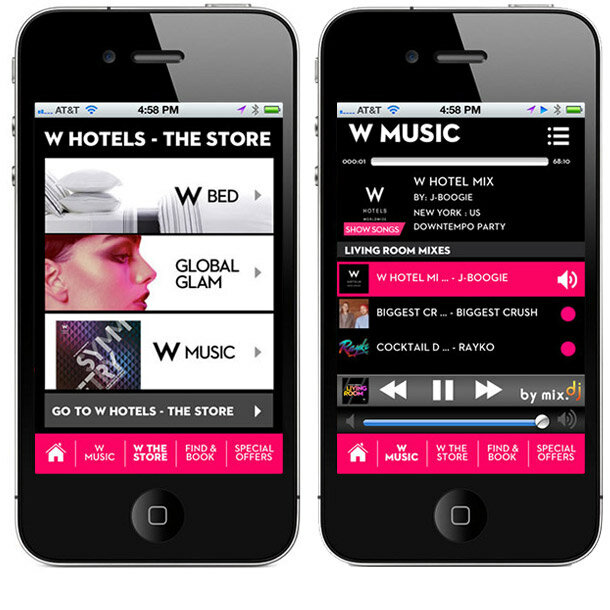 The W app not only has what you would expect from a hotel iPhone application like booking capabilities for W Hotels around the world but it also features an integrated music platform with exclusive content, a first for the hotel industry, that lets every guest take the sonic identity of the W Hotels with them anywhere anytime. Guests can also get W Insider tips, fashion finds, and other meaningful ideas about “what’s new and next” specific to each unique W Hotel. 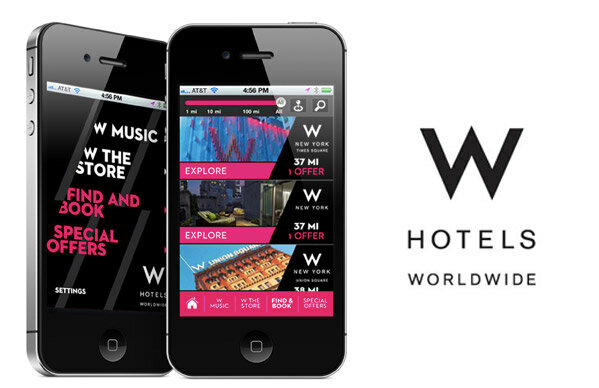 This app was also the first to offer property specific functionality where guests can use the app to order room service and hotel amenities from anywhere through the app.